Located in the middle of the Cotes du Rhone, in the village of Vacqueyras, at the foot of Dentelles de Montmirail, Domaine de La Colline St. Jean has been a family-owned property for several generations. They have 35 ha of vineyards in Vin de Pays du Vaucluse, Côtes-du-Rhône, Vacqueyras, Gigondas and Beaumes de Venise. Roland Alazard and his son preserve the character and the traditions of wine producers in their Cotes-du-Rhone wines. The hillside vineyards are heated by the sun giving the resulting wine a generous crimson robe, complex flavors and a delicate roundness on the palate. 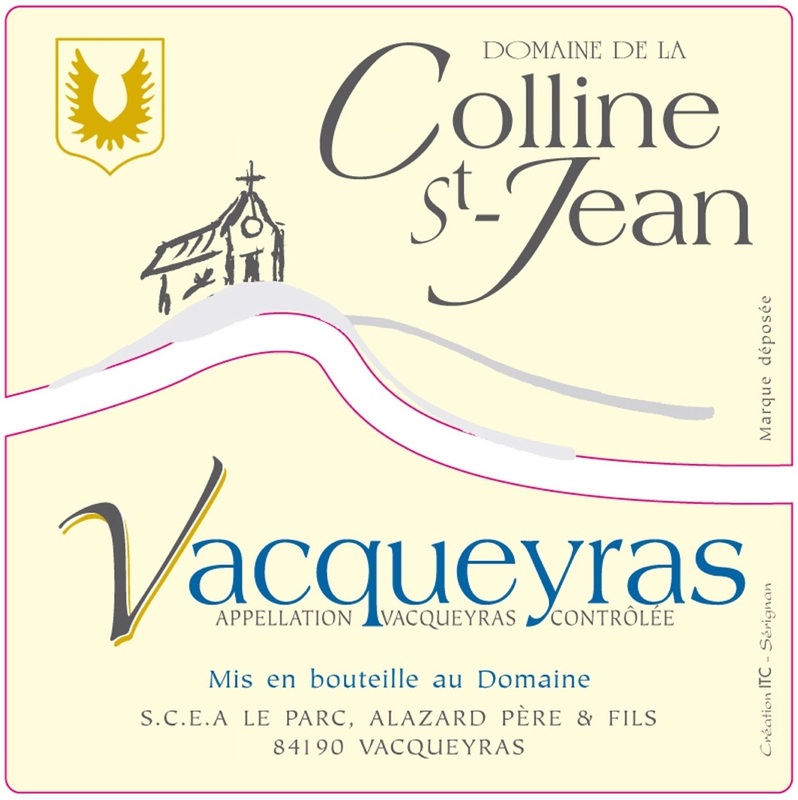 Vacqueyras AOC represent 1,690 hectares (4,191 acres), of which only 1,300 hectares (3,224 acres) are planted with vines. Total production for the entire Vacqueyras AOC is roughly 42,775 hectoliters (474,089 twelve-bottle-case equivalent). Thorn Clarke Terra Barossa Shiraz Winemaker's Selection palate is rich and full with spicy plums and creamy oak. The tannins are fine and give the wine great length of flavor and a superb smooth mouthfeel. Pairs well with foods with richness and flavor such as meat based pasta dishes, red meats or hard cheese. Burgo Viejo Rioja Reserva is made from 85% Tempranillo, 10% Garnacha & 5% Carignan. Burgo Viejo Rioja Reserva presents with red ruby color; black pepper and vanilla flavors and some mature black fruit taste too. Well-balanced, well-structured and elegant in mouth displaying some splendid taste of fruit and bouquet too. An intense purple color is followed by ripe red fruit aromas, such as sweet black cherry. The palate reveals clearly the aromatic complexity: spices and black fruit are boasted with soft tannins. The finish is long with aromatic hints of liquorice and pepper. Red raspberries, star anise and hints of cinnamon. It will accompany game, red meat or meat in sauce and strong cheeses. Châteauneuf du Pape vineyards are mostly located on plateaux. Stony-clay soil covered with large rolled stones. Some plots are more sandy. Harvest is destemmed and crushed. Fermentation temperature is controlled at 30°C. Vatting period of 18 to 21 days. Matured in vats (80%) and oak casks (20%).